OISE is an English language school offering Worldwide intensive learning courses for professionals, adults, students and juniors. 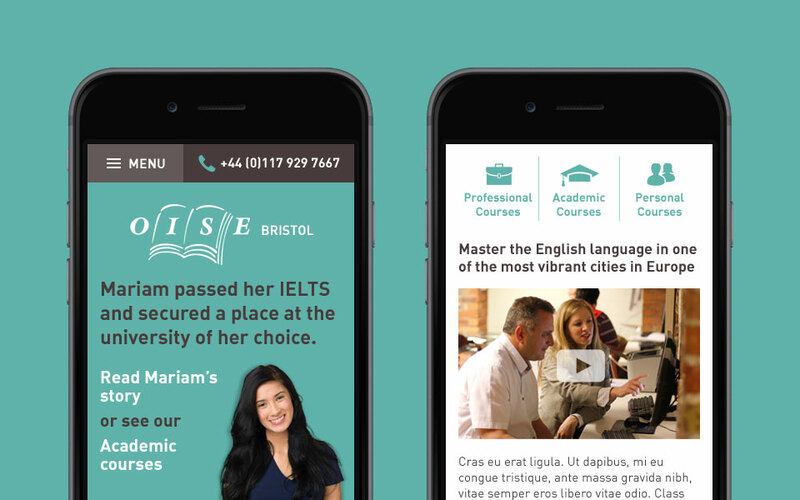 I prepared a proposal for OISE Bristol in response to a brief from the Director requesting ideas for a complete re-design of their existing website. A design was then produced that would provide a clear, modern and accessible experience for visitors. The new site would enable potential customers to browse content in their own language in order to make contact with the school and most importantly to book a course.